Every organization employs personnel – as full-timers, part-timers, consultants, freelancers, contractors – who work for the company in various positions and receive monetary compensation for their services. These employees are said to be on the ‘company payroll’. ‘Payroll’ is the process of payment of salaries or wages to employees for the work done by them. However, the term payroll isn’t restricted to salaries. There are other aspects such as withholding taxes, Provident Fund, bonuses, incentives, over-time compensation, consultant fees, etc. All this needs to be calculated for every employee, every month. This calculation process is called the ‘payroll system’, and it is handled by the payroll department. A payroll system is intricate, and one small mistake can lead to an employee receiving a wrong salary amount, or a delay in paying taxes. Having a consolidated process for the payroll system is of utmost importance, because financial blunders can turn out to be really costly for a company. What’s the solution? Technology has made life very convenient and streamlined. We now have computer systems that can practically run entire company operations, and payroll has not been left behind. A payroll management system is the solution. And it is extremely important for companies. A payroll management system is software that calculates the salary due to an employee and the tax to be deducted. All it needs is input of basic data like the salary or wages of the employee and leaves taken. The software keeps track of the hours worked, salary due, taxes to be deducted, and can even print cheques for employees and the government (for taxes). This system provides comprehensive payroll management services for large and small organizations. 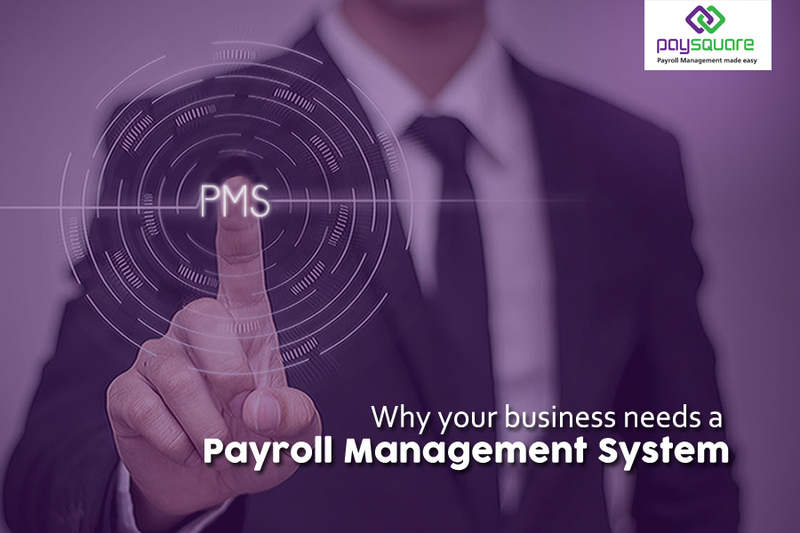 Having a payroll management system is important, especially for smaller companies and startups. Mistakes in tax calculations or payment can lead to fines and other penalties, which prove to be very costly. Not many companies have the resources to implement their own payroll systems though, which is where outsourcing comes into the picture. Saves times and efforts that go into building a plan, acquiring and compiling all employee data, and setting up the entire system. Doesn’t hamper productivity of those employees who would have otherwise spent time in setting up the system and getting it running. Company resources are saved; implementing an entirely new system is a much costlier affair than outsourcing it. Mistakes made in payroll management can attract penalties and fines. Learning a new system takes time, and human error is inevitable. Hence, it is best to leave it to the experts. Payroll laws and regulations are updated regularly, and an organization that’s new to it can have difficulty keeping up. A proper payroll management firm has a team that is expert in this domain. They can adapt to the changes quickly. Employee payment records must be kept secure and confidential. Any breach can risk embezzlement, fraud, identity theft and so on. It may not be possible for a company to install proper safety measures, but the outsourced firm will have them. Decide your budget based on the size of your business. If you have just 4 or 5 employees, manual payroll management can be feasible despite the time and efforts it takes. Once you fix a budget, you can explore your options. Look at the features the system offers – does it have all that you need? Or does it have too many features you don’t need? Security is a very important factor in selecting a payroll management system. Is the software secure? Is it password protected? Does it restrict access to unapproved people? Does the software integrate well with your other technology? You will be able to access the system locally to input important data. Hence, you need to make sure it does not clash with the business systems you are currently using. Check the credibility of the software. Preferable avoid going for something new, which doesn’t have customer reviews. Also check the overall market opinion about a system before selecting it. The last thing to consider is the level of control you wish to have on the software. Do you want complete access and control, or would you rather the experts handle it all? All these things are very important to consider so that you choose a payroll management system that works best for your company’s payroll requirements. When it comes down to selecting one of the many payroll management companies, we all want the best. The final selection depends on your requirement, their offering, and how both of these match. Finding a payroll management company in India isn’t difficult. Internet research and professional recommendations are of great help. However, there are some things to consider. The location, for instance; if you are located in Pune, then it would be pertinent to find a company that either operates out of Pune or has a branch office there. Collaborating over long distances isn’t impossible; but it’s tough in the event of a system malfunction or some other emergency. Strong communication is important. The second aspect is budget. Is the software fitting in your budget? And does it offer everything you need for that price? Sometimes, a payroll system may be offering too many features you don’t need alongside the ones you do. In that case, if you feel that you need a system without these extra features (and possibly for a lesser price), then you should keep looking. There are a lot of companies in India offering payroll management services. Finding the right one may take some time; but it’s better to persevere. A payroll management system which is the right fit is worth the time and energy spent in searching for it. After all, it is going to manage some very important data for you.